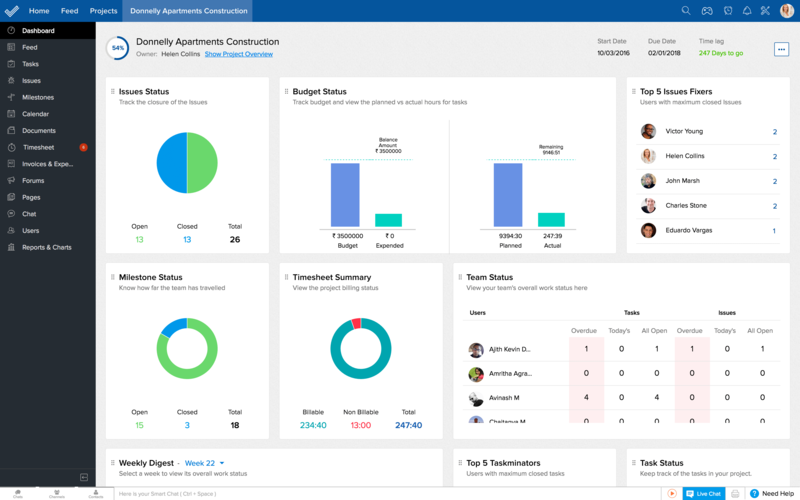 A comprehensive project management app for G Suite.Projects done on time, all the time. Zoho Projects for G Suite. Zoho Projects is a feature-rich project management software that helps you effectively plan work, manage resources, track hours, and close projects on time. The G Suite integration for Zoho projects lets you sync your tasks and events, share files, and convert your emails and sheets into well-defined work items with ease. 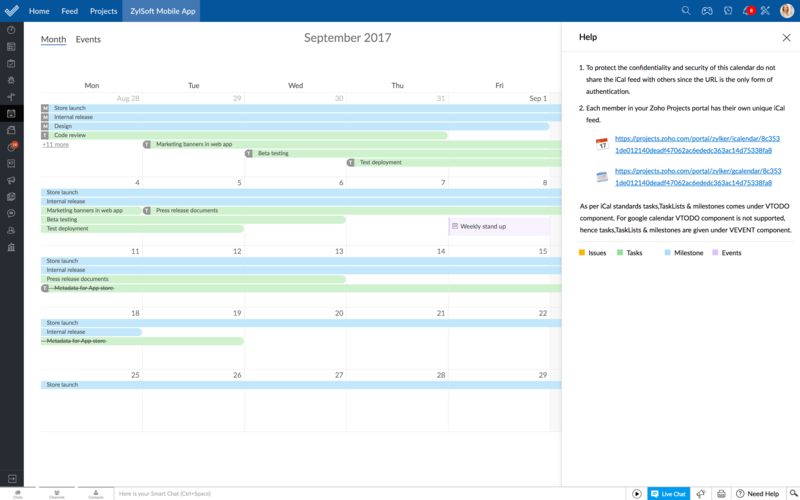 Add your tasks, milestones, and events from Zoho Projects to your Google Calendar using the G Cal link. Once added, the data is periodically synced to help keep you up-to-date on your current projects. You can choose to track and edit your tasks from either Zoho Projects or Google Tasks. 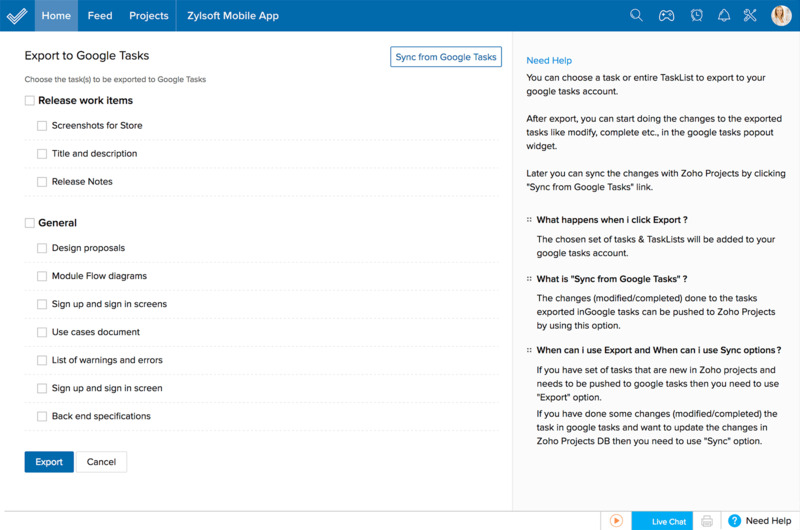 The Export and Sync options help you export tasks from your projects into Google Tasks or sync modified tasks with Zoho Projects. Turn raw sheet data into workable items. Raw data from a spreadsheet can be difficult to track and parse. 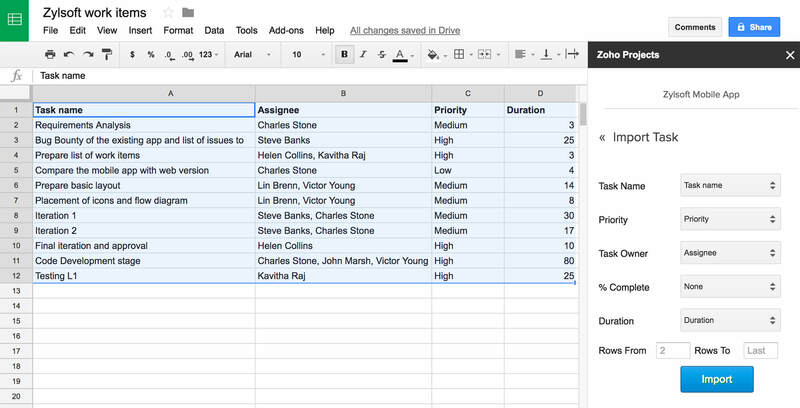 Break data down quickly by creating a project or a task from within your Google Sheet. You can also import tasks into Zoho Projects all at once by mapping cell labels to task fields. Attach project documents from Google Drive. Remove the hassle of downloading files from Google Drive and adding them to Zoho Projects separately. 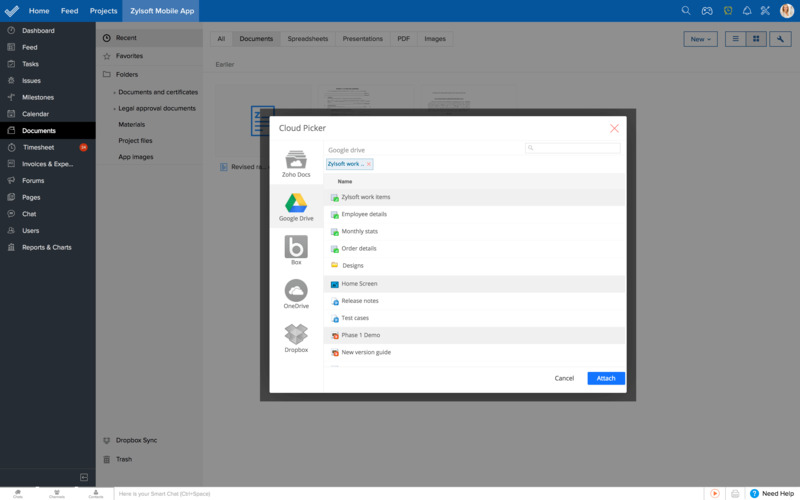 Access relevant files from your Google Drive directly within your projects and attach the ones you need. Why choose Zoho Projects and G Suite? Single sign-on for all your applications. Save yourself the hassle of keeping multiple passwords, and access Zoho Projects using your G Suite ID. An easy and friendly interface helps you add users from G Suite and assign roles to them. Chrome Extension for quick access. Add Zoho Projects to Chrome to quickly access notifications, add or edit work items, and share comments. "My biggest business challenge was running several projects spanning from eight months to four years at the same time. Zoho Projects has made this really simple." Learn more about Zoho Projects.